and the election of the Vacancy Nominating committee will also be held. As Bob told us when he preached here recently he is in Malawi until September with the Church of Scotland World Mission Council. Come along and bring a friend …………or two! 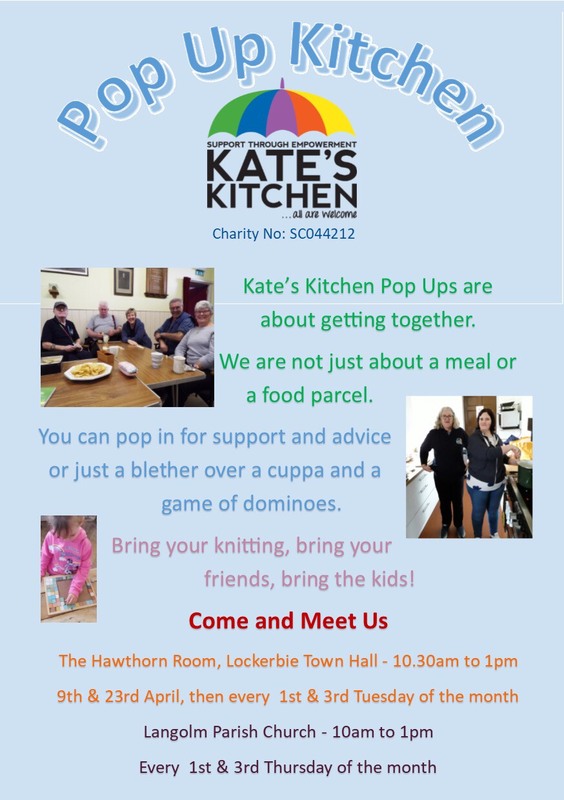 Kate's Kitchen opened in Langholm Church on Thursday 23rd August. Please come along if you are able to give a few hours of your time. If you are interested in either of these posts please contact any Elder. We are looking for volunteers to join a pool to help do duties on a Sunday, or sometimes at other times, to help giving out hymnbooks, taking collection and counting money after the service. If you would like to join the pool please let Avril (Grieve) or any elder know.